Proper tree trimming is extremely important not only for the health of a tree, but also for the safety of you and those around you. Healthy trees are vital for life and create homes for our wildlife. A healthy tree will add value to your property and use its own natural resources to combat disease and pests. Plant Health Care (PHC) is the focus on the health and growth of plants. 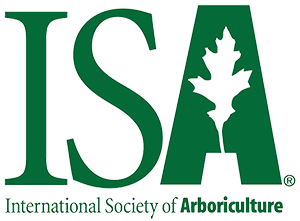 The practice of Plant health care was developed by the International Society of Arboriculture Research Trust, Tree Care Industry Association, and the USDA Forest Service. There are times when a tree should be removed. Safety to persons and property should always be considered first. Some others reasons include mechanical or storm damage, new construction, lightning strike, or undesirable species ( such as wrong tree - wrong place) to name a few. Tree stumps can be both a nuisance and safety hazard. Our team of certified experts can evaluate your stump for removal or stump grinding. Stump grinding requires the use of heavy machinery designed to lower the stump and visible surface root below existing grade. Our team of certified low voltage lighting technicians can help you design and install the perfect lighting system to enjoy longer time outdoors and create curb appeal. Our systems include a variation of up lighting, down lighting, path lighting, wall splashes and security lighting. Roots provide an anchor system for trees. This anchor system ensures your tree will stay in its place and provide the necessary nutrients for the health of a tree. Damaged roots or circling roots can cause weakness in a trees stability and can cause the health of a tree to decline. In the event of a hurricane or other extreme weather event, Jason’s Arborcare will evaluate your property and the current condition of the trees within 24 hours as deemed safe following such an event. Our main intent is to provide a professional evaluation of the trees on the property.